AFP2XML Transform Server enables users to batch convert AFP documents IBM MO:DCA (AFP, IOCA and PTOCA) to XML via an input folder and output folder on Microsoft Windows. 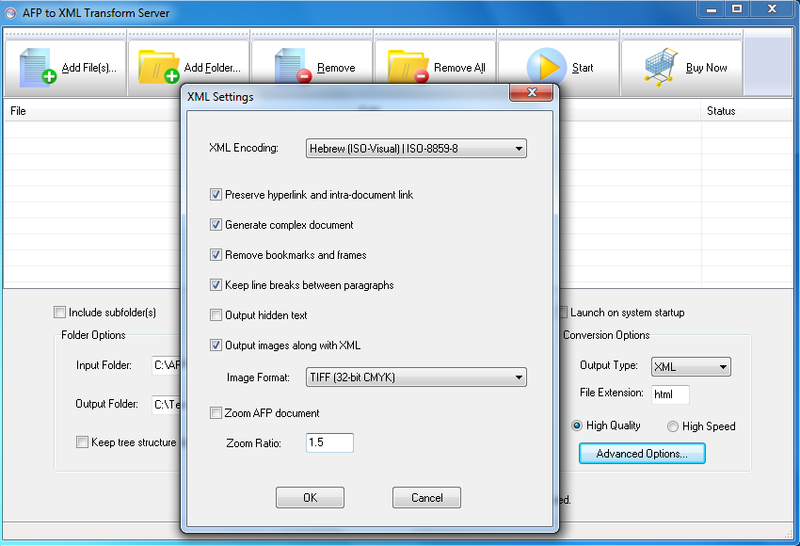 Unlike other software solutions simply rasterizing the AFP document to full-page images, AFP2XML Transform Server maintains all document objects such as graphics, searchable text, tables and live forms, uniquely within the generated XML for easy access by other applications. Create custom sales commission templates in MS Excel. Excel 2000 or higher required. PDF Stamp is an advanced product that enables you to stamp content into a PDF document. Besides images, texts and graphics, PDF Stamp is able to add links and notes, pdf stamp is royalty free for redistribution. CsvToAccess is a tool to import Csv(Txt) data to Access database. Main features: 1. Read data from Csv(Txt) file into a Access Table. 2. Tow mode: Wizard - step by step; Direct import - efficient. 3. Support Unicode.